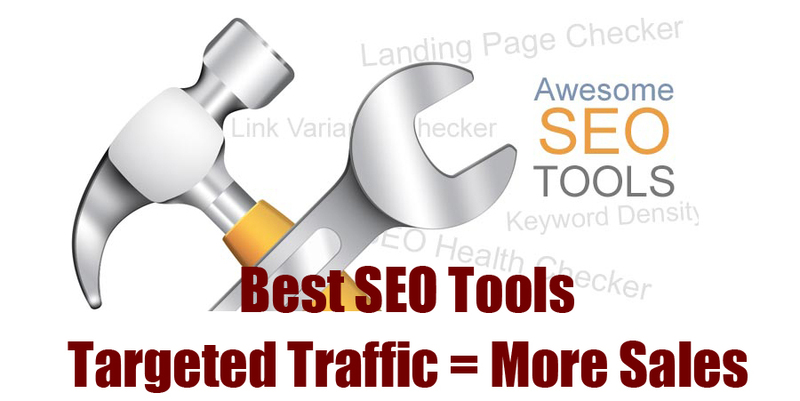 The list of 22 Best SEO Tools is published, here is 4 best tools from them. When anyone start blogging and create their own blog, then they always want to get the high quality traffic. Without traffic blogging is nothing.In this post, i will share my favorite and most amazing top tools for driving high and quality based traffic to your blog. There are many techniques and methods are used to drive more and more traffic into your blog. When it comes t o selling some kinds of products and delivering some online services – then the QUALITY of your traffic is more important than your quantity or your services. 1 – Get High Quality Buyers – who gives you something before leaving your site. Note : If i get 50+ comments on this post, then i’ll share my own strategy with you to drive more and more traffic to your blog or website. My first tool of getting quality traffic is Google Analytics Tool. Google analytics is the first tool which is absolutely crucial in driving huge traffic . Tracking your audience is the major task, but almost many of people does not track their traffic and see results. Google Analytics is a tool which provide you the facility of tracking your traffic demographically and also tells you which top tools and sources are the best for you to drive more and more traffic and lets telling you and segment your data so that you can fin more high quality traffic. In the whole era of internet marketing , it is the best , awesome and free online tool which is very essential to you to getting your goals ( Conversions) . Quantcast, is a market research tool which is highly recommended to you by almost every online marketer. After tracking your results, you will doing some proper market research to get your main goal. If you not know about your traffic or target customers, then you don’t attract high quality traffic. And low quality traffic to your site does not convert any time into actions. Quantcast tool provide you a profile of your site, if you want to get a feel of what audience would you want to get attract. It can tells you what demographic usually visits whenever your website which want to advertise on. For more about this tool and want to get some research about markets then visit : Quantcast !